The Premier Division title is within Buckhurst Hill’s grasp after they were finally able to overcome a stubborn Leigh Ramblers who perhaps deserved at least a point for their endeavours. Sam Sollosi and Steve Townsend scored the Buckhurst Hill goals, cancelling out Andrew Webster’s strike for the visitors, with the win now meaning they need just one more win from their final six games and the title will be in the bag. The leaders were helped in their quest by Harold Wood Athletic who beat Kelvedon Hatch 1-0 courtesy of a Rob Whitnell goal. The win moves Harold Wood up to second but seeing as they have now played all their fixtures means they can have no further say in the title. Kelvedon Hatch however are now down in third and needed the points to keep their name in the frame. Mathematically Kelvedon can still be crowned champions if they win all their remaining five, Buckhurst Hill go on and lose all their remaining six, with the goal difference sorted out via some heavy wins. It really is a tough ask and it will be all sorted shortly. As it stands at the moment though it is Buckhurst Hill’s title to lose. Catholic United are finishing the season strongly. Having started their defence of the Premier Division title with a string of defeats, the defending champions found winning form as the season went on and they beat Bishop’s Stortford Swifts 6-2 on Saturday. Tom Hollingsworth (2), Aaron Balwin (2), Jamie Salmon and Max Kent were the marksmen and the win now sees Catholic United fourth. Gavin Cockman and Ashley Taylor-Forbes were the Swifts scorers and they are now fifth. Damien Siemienczuk and Jack Long were the Rayleigh Town scorers in a 2-2 draw with Springfield. Old Southendian and Sungate meanwhile also shared a point as their game ended goalless. Shenfield AFC are on the verge of lifting the Division One title after a 5-1 win over promotion-chasing Basildon Town. George Cunningham and James Bigmore fired the leaders into a 2-0 half time lead with further goals coming from Mitch Day, who scored twice, and Harry Hatt. Jamie Miller scored the Basildon goal, who now need to win all their remaining six games if they want to land the title or gain promotion. FC Hamlets are also in the promotion hunt are fourth after a 6-0 win over Herongate Athletic. John Gilroy’s hat-trick was added to by Aaron Glasgow, Ashley King and Charlie Heatly. Old Chelmsfordians beat Galleywood 1-0 thanks to a Sam Adams goal. Ben Polley meanwhile scored twice from the penalty spot to help Ongar Town beat Rayleigh Town Res. 2-1. Ryan Cushway scored for the visitors. Chingford Athletic beat local rivals Ryan 7-0 on Saturday which keeps their promotion hopes alive. Jack Yates scored a hat-trick with Alex Gordon also notching twice; Luke Dimond and Jonny Hirst supplied a goal apiece and Chingford now sit fourth but have three games left to play. Runwell Sports are second and now can’t win the Division Two title after they could only draw 3-3 with May & Baker E.C. ‘A’. Sports needed to win that one, but now have to get ready for next weekend as they visit fellow promotion-chasers Chingford Athletic. 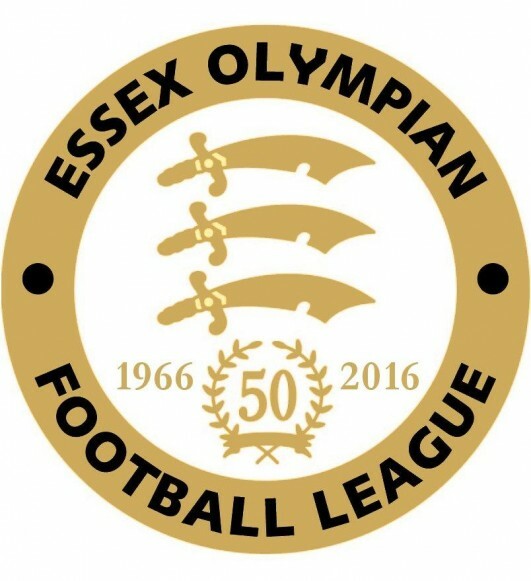 Laindon Orient are top of the table after they beat Basildon Town Res. 7-0 with goals coming via Sam Lake (2), Jason Warner, Michael Agba, Jasper Read, Rodney Wilson and Henry Ballard. However Laindon have now completed their fixtures and have to sit it out. Meanwhile Old Southendian Res. are second after a 5-2 win over fellow promotion-chasers Wakering Sports. Tom Judge and Dave Stubbs scored twice apiece, Olive Tatton-Bennett also notching. Westhamians are down to third after they were held to a goalless draw by Leigh Town. Westhamians started the day as leaders, but have two games left to play as well as having an Essex Junior Cup Final appearance to look forward to in midweek. Ramsden Scotia v May & Baker E.C. Res.